Unique. Stylish. Entirely Radisson Blu. 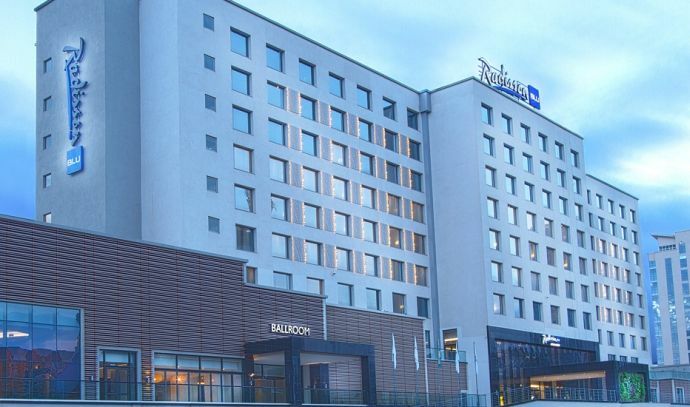 The Radisson Blu Hotel Nairobi is first Radisson Blu to open in Kenya. Upper-upscale by industry definition. First class in any other language. High on design and style. Offering you a world-class travel experience. All wrapped up in a Yes I Can! attitude. The hotel offers one of the best and largest meeting facilities in Kenya. 12 meeting rooms and boardrooms, including a 590m2 ballroom all boast natural daylight and the latest technical equipment. The Radisson Blu Hotel Nairobi, Kenya, offers 271 spacious designer guest rooms and suites with a choice of three distinct fashion inspired styles. Guests can enjoy the unique, color-splashed, edgy and modern ‘Urban’ room style or upgrade to a Business Class room with a choice of two additional unique room styles: ‘Naturally Cool’ and ‘NY Mansion’. Guests in a Business Class room or Suite enjoy upgraded amenities and services including access to the hospitality lounge with complimentary breakfast and evening cocktails. C/o Elgon Road Developments Ltd. The electronic system is the only method to apply for a Kenyan visa, so if you’re arriving in Kenya from a country requiring a visa, you’ll need to apply online for one before you travel. Find out if your country qualifies to apply here . We encourage you to do this as soon as possible to guarantee time for processing.